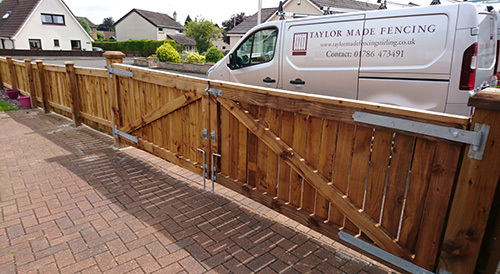 Taylor Made Fencing in Stirling specialises in building timber fencing and gates for domestic and commercial properties throughout Stirlingshire and the Central Scotland area. 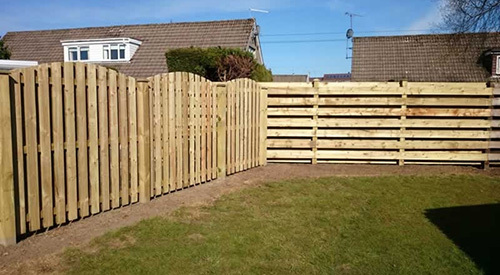 Gerard Taylor has a reputation for attention to detail and thoroughness, bringing the highest standard of workmanship to every fencing project. Gerard is fully involved in each stage of the fencing process, from planning to completion, providing a personalised and reliable service. 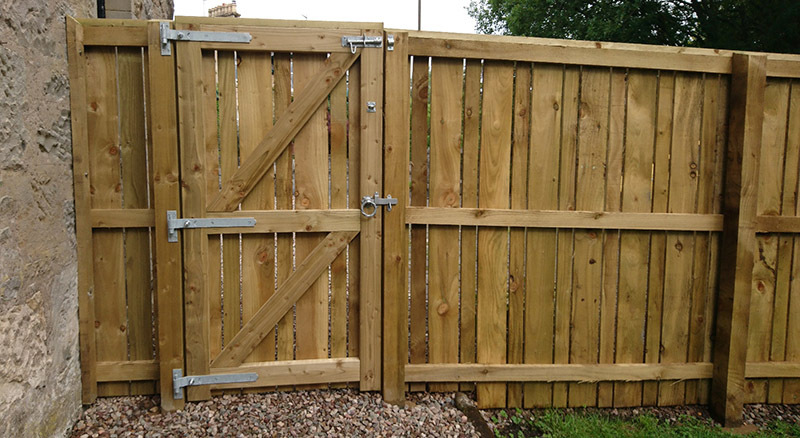 Gerard’s 25 years of experience in working with fencing in Stirling allows him to ensure that your timber fencing and gates are built to the highest standards of workmanship and will be a functional and pleasing addition to your garden or property. 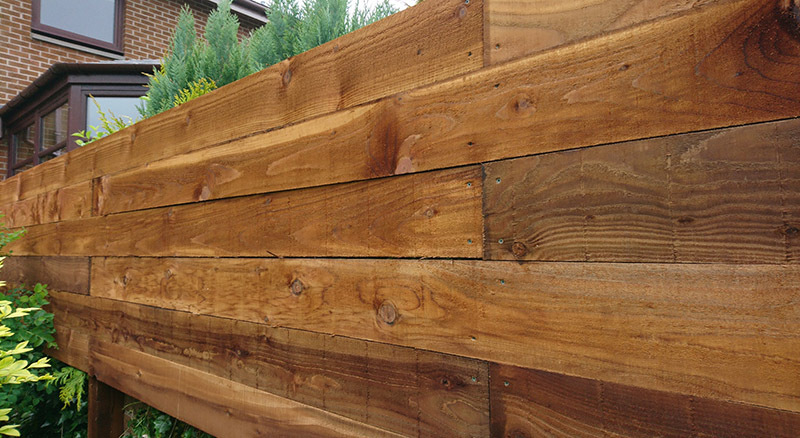 Gerard and his team can build your fencing in a choice of natural green or brown finishes. Our made to measure gates and fencing is built to last. We use quality treated timber, galvanised ironwork and the best installation methods possible. Taylor Made Fencing in Stirling uses treated timber which comes from well managed forests in accordance with the rules of the Forest Stewardship Council. The Tanalith E8000 timber treatment process used protects our fencing from the elements and also protects the wood against fungi and insect attack. A Taylor Made fence can last 5 to 10 times longer than a fence which is untreated or poorly treated. A variety of fencing and gate designs, including double driveway gates can be viewed on our fencing in Stirling Photos page. Please go to our About Us page to see some of the fencing services we provide in Stirling and the surrounding areas. A fencing project is only a success when you are 100% satisfied. Please go to our Testimonials page to see reviews from some fencing in Stirling customers. Taylor Made Fencing in Stirling is fully insured.